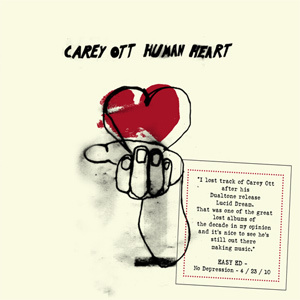 We recently had the chance to review Human Heart, the newest release from Carey Ott! 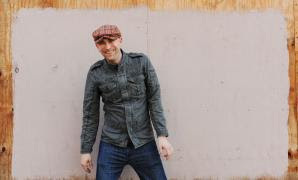 "Human Heart contains more than 73 minutes of music and every song resonates with real - life questions, universal fears and new discoveries.Human Heart has something for everyone; Ott genre - hops across Pop, Rock, Americana, Electronica, Soul and Blues.Human Heart is about the Human Experience. Love, Loss, Empathy, Highs, Lows, Pains, Joys, Lies and TRUTH! This isn't just Ott's story, it's your story too!" For more information, visit CareyOtt.com/humanheart! What we thought: We really loved the eclectic mix of music on Human Heart. I loved the smooth, laid back voice of Carey Ott and this CD is one of the best CDs we've heard in a while. We have listened to it over and over and even the kiddos are singing along to the catchy lyrics and dancing to the fun beats:) ABCD Diaries gives Human Heart by Carey Ott an A+! Buy It: Find this awesome CD at your favorite music seller!